You never know when danger could strike, which is why it is a good idea to carry the Black and Gold Chaos LARP Battle Shield on all your adventures. This accessory is inspired by fantasy design and provides excellent protection. You need more than just protection from your opponent, you need the right protection. 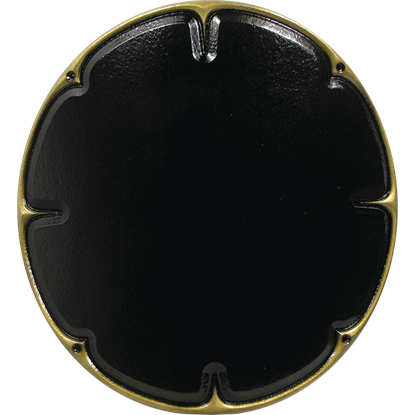 With the Black and Gold Chaos Round LARP Shield, you cannot go wrong. 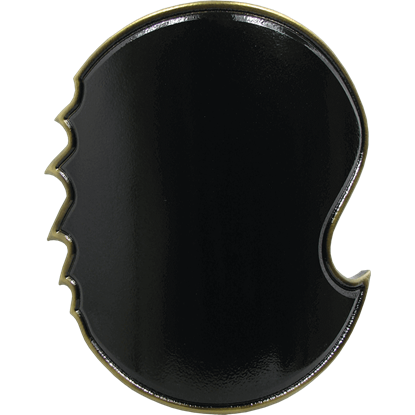 This shield provides excellent protection and is crafted with unique style. When you have the right protection on the battlefield you can feel unstoppable. 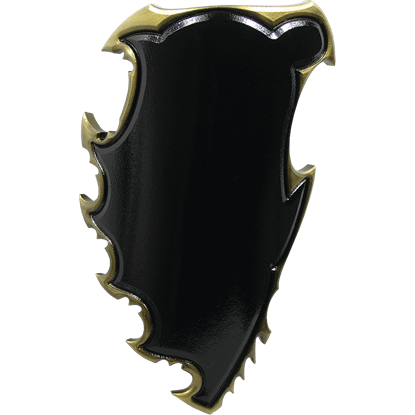 With the Black and Gold Chaos Skirmisher LARP Shield, you can become an undefeatable warrior. 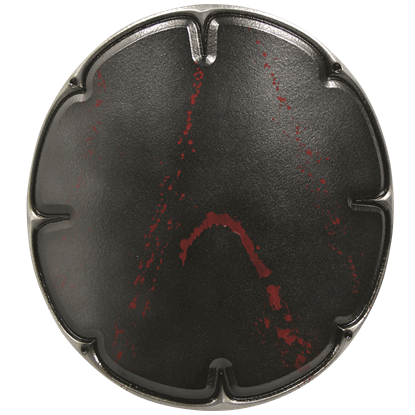 This shield has an authentic design and realistic look. Danger can appear when you least expect it, which is why it is a good idea to carry the Black and Gold Chaos LARP Battle Shield on all your adventures. This accessory is inspired by fantasy design and provides excellent protection. Go out and conquer the world one city at a time with the Black and Silver Chaos Round LARP Shield. Enter battle without this shield, and it could mean the difference between you proudly walking away or being dragged off in defeat. You never know what your opponent might throw at you on the battlefield. Find yourself without the proper defense, and you could easily fall. 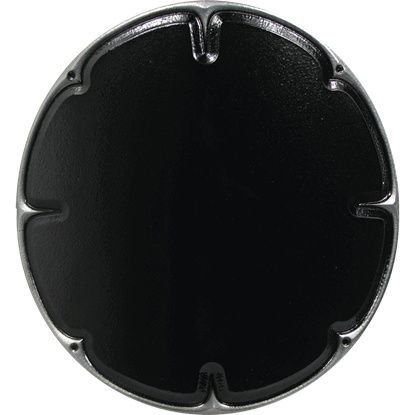 Luckily, the Black and Silver Chaos Skirmisher LARP Shield is here to ensure your guard. You need the right protection when engaging in close quarters combat, since one wrong move can lead you being dragged off with a fatal wound. 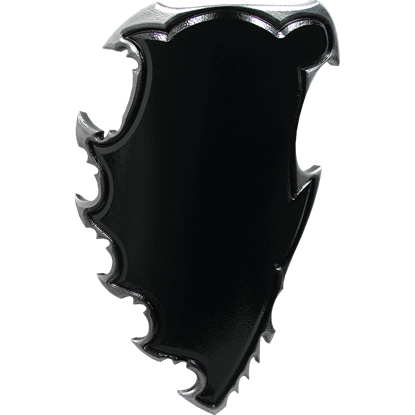 With the Bloody Chaos Round LARP Shield, you can reduce this risk and do it in style. 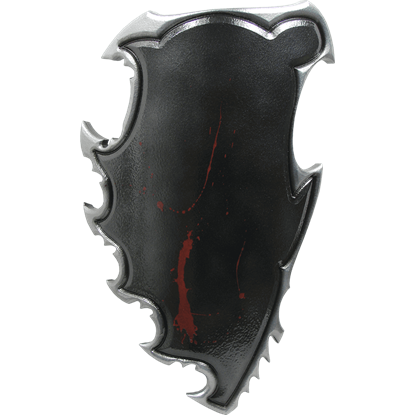 If you are in need of a protective piece with visually appealing style, the Chaos Bloody LARP Battle Shield is a great choice. Drawing on fantasy inspiration, this accessory has a unique design and will provide superb protection. 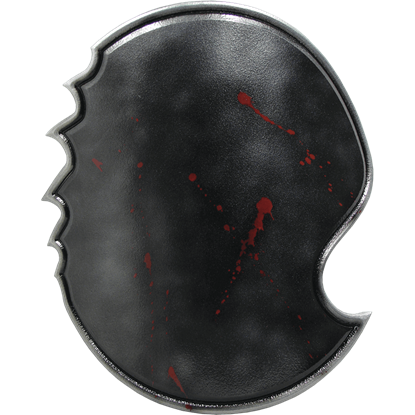 With blood splatters across its surface, you know the Chaos Bloody Skirmisher LARP Shield is ready to face the fiercest of frays. 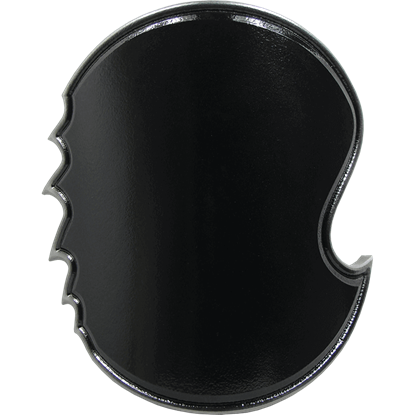 Made of a thick, high quality polyethylene foam, this round shield is made for use during LARP events. 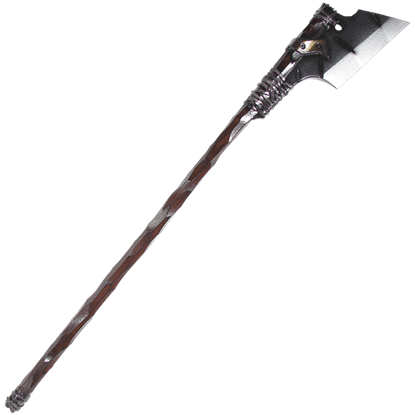 For LARP warriors seeking a weapon as wicked and mighty as their own fighting spirit, the Chaos Double Headed LARP Axe is the perfect addition to their arsenal. 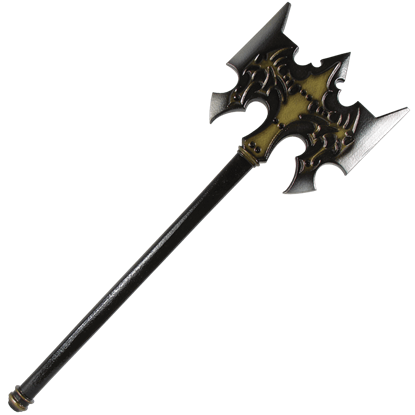 Expertly detailed, this LARP weapon features two fearsome blades. 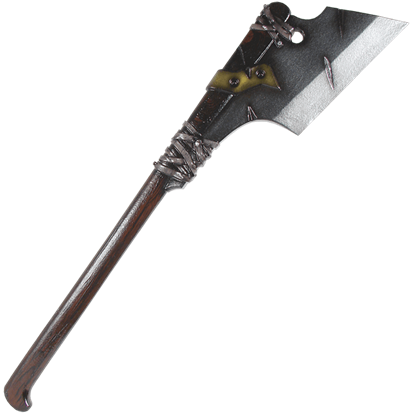 Expertly crafted to resemble the weapon of a fierce and seasoned warrior, the Chaos LARP Axe is made of thick foam with an inner fiberglass core. With careful detailing, this foam weapon is ready to brave the tides of LARP battle.